Pink Martini is one of the stellar acts performing on Mountain Stage in 2017. Tickets to all the events will be available on Monday, November 21 at 10a.m. Guest artists scheduled to appear include Colin Hay, Andrew Bird, Pokey LaFarge, Solas, and Pink Martini, among others. Venues, locations, and ticket info follows. Mountain Stage will record episode #886 on Sunday, January 15, at the WVU Creative Arts Center in Morgantown, West Virginia. The show will include former Men at Work frontman Colin Hay, French-English folk troubadour Piers Faccini, and more. The two-plus hour show will be recorded for distribution to 180 NPR Stations nationwide in early 2017. Tickets cost $26-38 in advance (or $10 for WVU students) and are available online, by phone (304-293-7469) and at the Create Arts Center's Box Offices (10am-5pm). 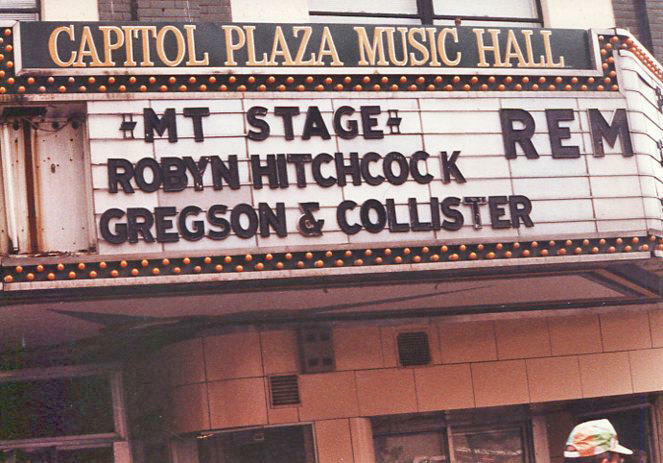 Mountain Stage will then head to Athens, Ohio, to record episode #887 on Sunday, January 22, at Ohio University’s Templeton-Blackburn Alumni Memorial Auditorium. Hear from Ohio singer-songwriter J.D. Hutchison & Realbilly Jive and more. Tickets to this show are $12 for students, $18 for seniors, and $20 for the rest and are available online. Don't worry Charleston, WV fans! 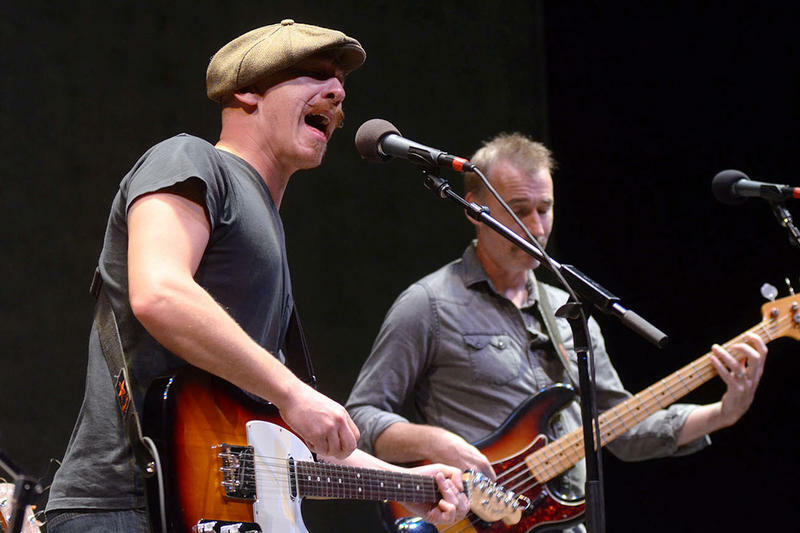 Mountain Stage will return to its home at the Culture Center Theater in Charleston for a string of shows shortly after that. Be a part of episode #888 on Sunday, January 29, with eclectic multi-instrumentalist Andrew Bird, indie rockers Blind Pilot, Chicago guitar wunderkind Ryley Walker, pop vocal supergroup The Flat Five, and more. Tickets for this show are $30 in advance ($35 day of show) and are available online, by phone (877-987-6487), and locally at Taylor Books in downtown Charleston. On Sunday, February 12, Mountain Stage will record episode #889 at the Culture Center Theater in Charleston with retro-roots crooner Pokey LaFarge, Canadian alt-country songwriter Fred Eaglesmith, award-winning blues singer Ruthie Foster, Scottish folk musician Rachel Sermanni, and more. Tickets for this show are $20 in advance ($25 day of show) and are available online, by phone (877-987-6487), and locally at Taylor Books in downtown Charleston. Mountain Stage then heads to the Charleston Civic Center Little Theater for episode #890 on Sunday, February 26, with traditional Celtic band Solas, Trampled By Turtles alt-country side-project Dead Man Winter, and more. Tickets are $20 in advance ($25 day of show) and are available online and by phone (1-800-745-3000). You can also catch Mountain Stage in Charleston, West Virginia, at the Clay Center for the Arts & Sciences on Sunday, March 5. This show will include a special one-hour set from Pink Martini, as well as performances from Beth Hart and more. Tickets are $30-40 in advance ($35-45 day of show) and are available online and by phone (304-561-3570). As for April, make sure to catch Mountain Stage on the road on Sunday, April 2, at East Tennessee State University's D.P. Culp University Center in Johnson City, Tennessee. 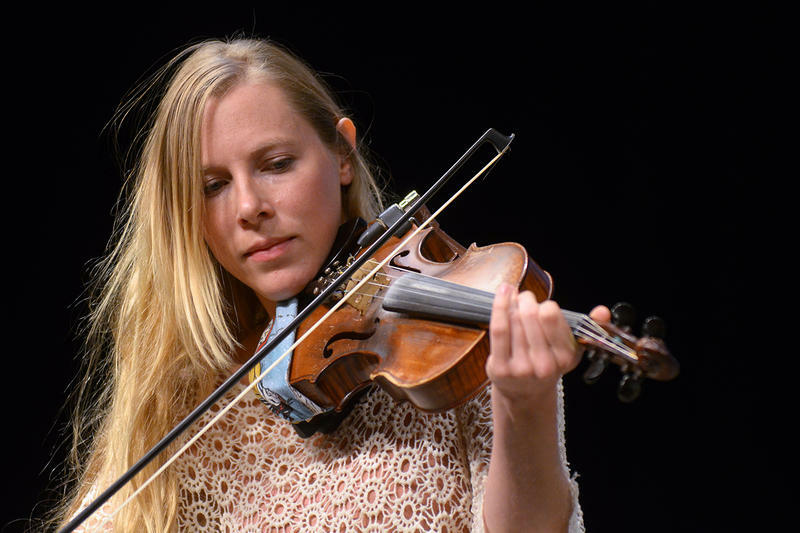 The show includes performances from award-winning bluegrass-ers Claire Lynch Band and more. Tickets cost $10 for students (with ID), $20 for seniors, and $25 for the rest, available online. The week following (Sunday, April 9), Mountain Stage heads to Marietta, Ohio, to record its first show at the Peoples Bank Theatre. Acts will be announced in the coming weeks. Tickets cost $20-32 in advance and are available online. And on Sunday, April 30, Mountain Stage will return to the WVU Creative Arts Center in Morgantown, West Virginia. The show 's line-up will be announced in the coming weeks. Tickets cost $26-35 in advance (or $10 for WVU students) and are available online, by phone (304-293-7469) and at the Create Arts Center's Box Offices (10am-5pm). Need even more Mountain Stage in your life? Join us on Facebook, Twitter, and Instagram, and get the latest show updates and ticket deals with our e-mail newsletter. And if you’re looking for a new soundtrack, subscribe to the Mountain Stage podcast on iTunes. When R.E.M. appeared on NPR's Mountain Stage on April 28, 1991, they were one of the biggest bands in the world. Though when they released Out of Time, in March of that year, they decided against touring behind it, opting for media appearances instead. One of these appearances was Mountain Stage. 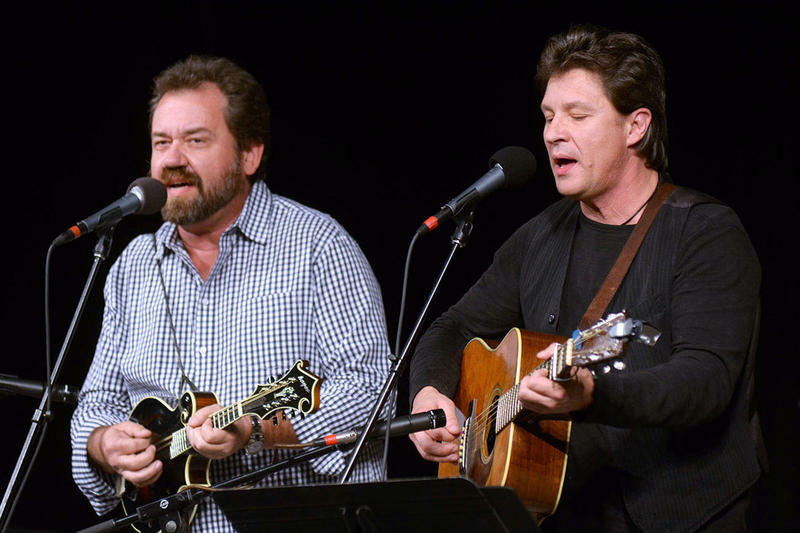 Bluegrass icons Dan Tyminski and Ronnie Bowman join forces on this week's Mountain Stage, beginning with their take on the Jimmy Martin classic "Hold Whatcha Got." You will also hear performances by Sara Watkins, Elise Davis, Mountain Heart, and guitar great Eric Johnson.